All the details you need to know about filling in your profile correctly. To fully utilize our platform, it is essential to have a complete, accurate profile. Access your account by going to 2ps.com/login and logging in via Facebook, Google, LinkedIn, Microsoft or by entering your email and password combination. Go to your profile page and click "Edit Your Profile" A profile picture is a necessity to first, appear legitimate, and to be used on your invoice when billing clients once in edit mode. Click on the circular image on the left top of the page. Once logged in, it's possible to update your account, either manually or by linking it to your LinkedIn. Add your profile picture, background picture, skills and adjust your profile to the language you've written your description in. Some details from your profile, such as invoice address and how you receive payments, are automatically integrated into your invoice from your profile. Your home address is how we determine your location, whilst your invoice address is for the purpose of your invoice only. Underneath the "Receive Payments" tab, you will see that you have four methods to choose from for receiving payments from your clients; Paypal, bank, Interac, and check. We recommend using Paypal as it's the easiest and safest method. Services are how clients and other consultants will search for your skills and how the search algorithm will decide who is the right consultant for the job. Make sure they are filled out to maximum capacity. If you can’t see a skill you have in our list of services, add a new skill. 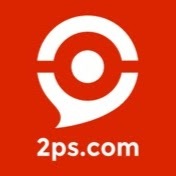 We will review your request and add it to 2PS if we deem it relevant to the 2PS network.